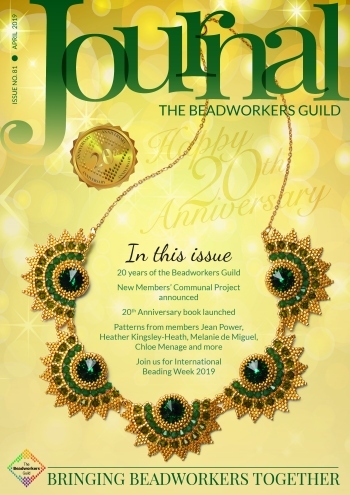 I teased you with this back in January and can now reveal that my Jua series of beadwork features in the April 2019 issue of the Beadworkers Guild journal! The project covers lots of variations of different necklaces, pendants and earrings and is guaranteed to put some sun & colour in your life. Members will start seeing their copies appear through their letterbox early next week and if you want to add some sunshine beadwork to your day you can become a member on their website.